Hipstamatic is the most widely used camera application for the Apple iPhone, turning what would have been a traditional photograph into a LoFi creative photo with any of the applications numerous lens and film possibilities. Knowing what results can be achieved per combination, can be rather overwhelming and with such a large base of Hipstamatic users, it is a wonder why no one has thought of a comprehensive users guide, one focusing on featuring examples of the different lens and film combinations. 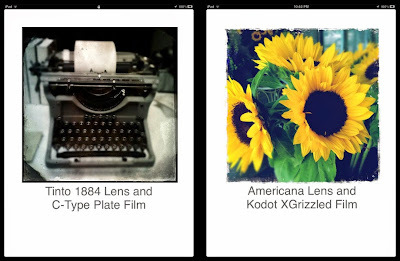 While Hipstamatic’s website has information about their lens and films (Hipstamatic Gear), it only features a couple of examples of each lens and film the package was paired with. Cynthia Louden’s iBook changes all that. The 205 page book, Hipstamatic Lens/Film Guide provides an example of every current lens/film combination prior to the recent release of São Paulo HipstaPak. There are 28 lenses and 30 films represented, for a staggering 840 examples of how each lens and film interact with one another. 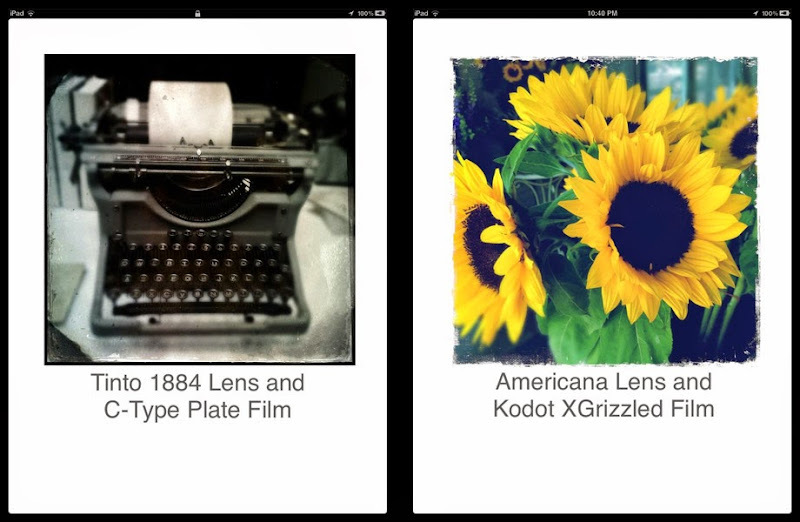 With Hipstamatic’s plan to release a new gear on Hipstamatic’s sharing site Oggl every month and later made available as an in-app purchase, the number of combinations possibilities will be increasing exponentially in a very short time. 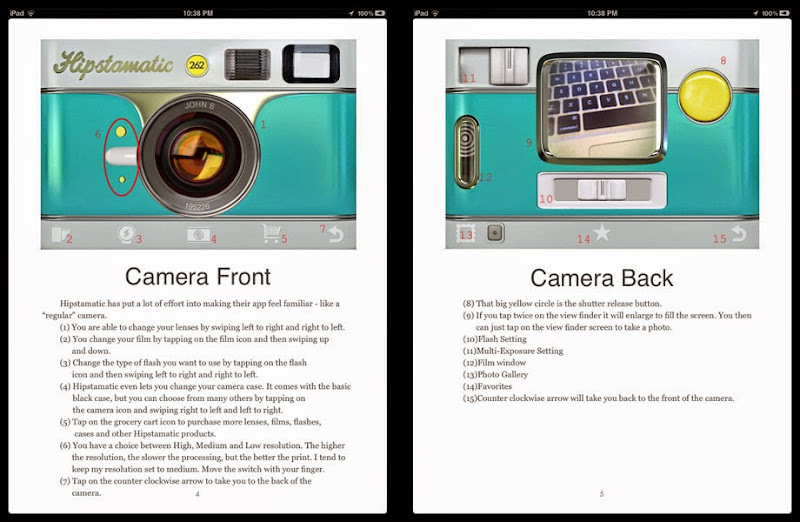 Cynthia assures us that the guide will be regularly updated to reflect what will be available within Hipstamatic’s camera application as an in-app purchase. 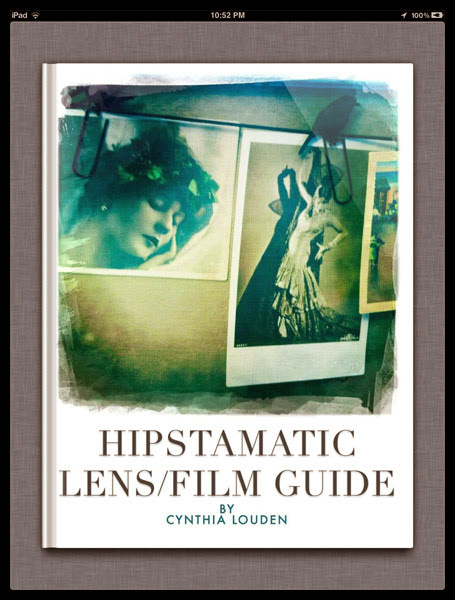 For now updates to new lens and film combinations are all posted to the Hipstamatic Lens Film Guide website, as she has done with the São Paulo HipstaPak. All lens/film combinations images first start out with a straight forward exposure and no Hipstamatic effects, by using the Apple's mobile native camera. This allows the viewer to evaluate and gauge the effects with a certain Hipstamatic lens/film combination. Apart from the lens/film combination examples, she also describes the camera application’s functions, such as resolution, flash and multi-exposure settings. Towards the end of the book one finds a general description of each Hipstamatic lens and films unique striking features, followed by a list of resources. Right now the eBook is available from iTunes and a PDF file from Hipstamatic Lens Film Guide website, both for $2.99. An iPhone version is in the works and will be available soon. You can also download a sample version of the iBook for preview prior to purchase. While the over all book is admirable, I can only recommend it with reservations, for I feel the purpose of this book is to provide the user with examples of what their image may appear like when using a specific lens and film combination is applied. While the author Cynthia does so, the examples presented are simple too small. If future updates address the size issue of the combination examples, I will be more than pleased to re-evaluate this publication. 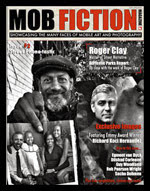 Also the version for iPhone and Kindles should be on Amazon soon. Thank you Cynthia for updating us on the fact that the PDF version of the book permits the sample images to be made larger. Your book over all is a good contribution to the Hipstamatic community.